I fell in love with Sparky at first sight. He was the cutest movie dog I’ve seen since Arthur in Beginners. Given the chance I would have hugged him and tried to persuade him to move into our place. As it is now I have to settle for the plush version. 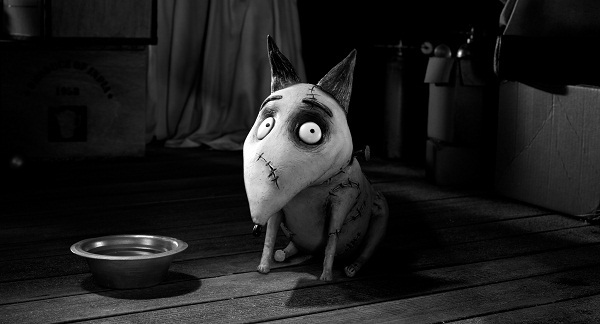 Sparky is the central character of Frankenweenie, Tim Burton’s latest fairy tale, which is something as unusual as a 3D stop motion movie in black and white. Or actually the movie is about his owner, the young Victor, who is crushed with grief when his beloved dog is killed in an accident. Inspired by a teacher he decides to make a try to bring Sparky back to life, with the help of science and the lightening. The experiment is successful, but has some unforeseen consequences for Victor to handle. The cute dog presence wasn’t the only similarity between Beginners and Frankenweenie. What they also had in common was that I was the only one in the audience when I watched it. 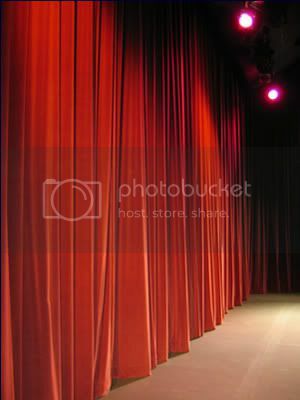 It was only a few days after the opening and the movie had received unanimous praise from the Swedish critics. But apparently something kept people away. Perhaps it was the fact that it was in black and white, which I guess most young viewers aren’t much familiar with and might be suspicious about (unnecessarily so if you ask me – it looks fantastic, and taking place a lot at night and in the 50s, it seems just righ). Perhaps it was the tagline on the poster: “By the maker of Alice in Wonderland”, which I haven’t seen, but I’ve hear that not everyone was crazy about it. More likely I think it might have been the cost. With the added 3D fee it cost 20 dollars a ticket for an 87 minute long movie. That felt a little bit hefty, especially if you’re bringing the entire family. I don’t deny that being alone in a theatre comes with some benefits. For instance it’s the only time you’re free to break the code of conduct as much as you like. (Not that I really wanted to break any, even if I could. Speaking loudly to myself or texting frenetically from my phone doesn’t seem like an enjoyable way to watch a movie. Nevertheless I thought it was a little sad that there weren’t more of us there to enjoy it. I think this film is worth seeing because it’s the best film Tim Burton has made for years. It has his typical mix of humour, horror and melancholy as well as a fantastic gallery of imaginative characters and creatures, far away from what you typically see in animated films. It’s worth seeing for Sparky, but I’ve gushed over him enough already. It’s worth seeing because it’s got soul and personality. It feels as if Tim Burton has put his heart into this. I haven’t seen all the animated films that have received an Oscar nomination, but as it stands now, I wouldn’t be sad if the golden guy ended up in the hands of Frankenweenie. A great choice! I will also mention Bonny the Shih Tzu from “Seven Psychopaths” and Snoopy, the wire-hair fox terrier in “Moonrise Kingdom.” Although what happens to Snoopy in MK is pretty heartbreaking. Thanks! I’m afraid I haven’t seen Seven Psychopaths yet. Poor Snoopy is more in a supportive role, isn’t he? Still have not come around to seeing this (have to admit I’m not very big on Burton’s stuff). Will get around to it eventually though! I like some of Burton’s stuff, other not so much. I was really happy about this one – as opposed to Dark Shadows, which I watched last year and didn’t like care for at all. Great post, Jess. Really want to see this one. Sparky is indeed cute and it’s great that Tim Burton is making good movies again, hehe. And wow, I haven’t ever been the only one at the theater. That must be a cool experience. I’m glad you liked this, it was effervescent and charming throughout. I’ll be a curmudgeon and say I wish those final FINAL moments didn’t happen because I’d have liked a less fanciful end, but I can’t really complain. It’s a lovely film and SOOOO gorgeous to look at. Hehe, I loved that it got a little wild in the end. 🙂 Anyway I’m glad you liked this too. It’s my favorite animated film from 2012 of those I’ve seen so far.